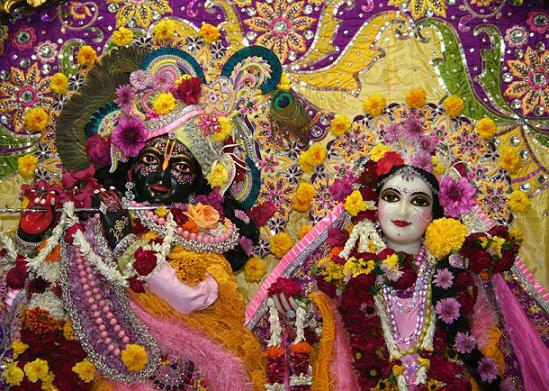 "One should be attracted by the beautiful vision of Krishna. His name is Krishna because He is all-attractive. One who becomes attracted by the beautiful, all-powerful, omnipotent vision of Krishna is fortunate. There are different kinds of transcendentalists -- some of them are attached to the impersonal Brahman vision, some of them are attracted by the Supersoul feature, etc., but one who is attracted to the personal feature of the Supreme Personality of Godhead, and, above all, one who is attracted by the Supreme Personality of Godhead as Krishna Himself, is the most perfect transcendentalist. In other words, devotional service to Krishna, in full consciousness, is the most confidential part of knowledge, and this is the essence of the whole Bhagavad-gita."